Atos, an international information technology services company, today announced its revenue for the third quarter of 2013. Revenue was EUR 2,086 million, representing an organic evolution of -1.8 percent compared to the third quarter of 2012. Order entry was EUR 1,780 million leading to a book to bill ratio of 85 percent. Net cash stood at EUR 353 million at the end of September 2013. The four largest Business Units are Germany with 20 percent of total revenue, the United Kingdom & Ireland with 19 percent, Benelux & The Nordics with 13 percent and France with 11 percent. Managed Services revenue was EUR 987 million, down by -2.0 percent compared to the third quarter of 2012. Revenue grew in all sectors but Manufacturing in which the decline mainly impacted Germany. Growth was +14.0 percent in Public sector, Healthcare, & Transport, thanks to the contribution of United Kingdom & Ireland, Benelux & The Nordics, and North America Business Units. In Telco, Media & Utilities, the contribution from the McGraw-Hill contract in North America offset a revenue decrease with a large media company in the UK due both to project delays and a lower comparison basis (Hardware sales in Q3 2012 not repeated in 2013). Over the first nine months of 2013, Managed Services revenue was EUR 2,985 million, representing an organic evolution of -0.6 percent. In Systems Integration, revenue reached EUR 547 million, down -1.5 percent compared to the third quarter of 2012. Telco, Media & Utilities, which is the largest market served in Systems Integration, posted +15.6 percent growth mainly thanks to the ramp-up of the NSN contract in Germany. In Financial Services, revenue decline was due to the base effect of the AIG contract completed in Q3 2012 in the US. In the Public sector, revenue generated in 2012 for the London Olympic Games led to an unfavorable comparison basis in Q3 2013. Finally in Manufacturing, less discretionary expenses from large customers led to fewer projects delivered in last quarter. Over the first nine months of 2013, revenue for Systems Integration was EUR 1,680 million, down by -1.0 percent. Hi-Tech Transactional Services & Specialized Businesses (HTTS & SB) revenue reached EUR 411 million, down by -1.7 percent year-on-year. HTTS business grew by +3.4 percent to EUR 294 million, supported by a growth both in payment and eCS. Financial BPO grew by +6.6 percent thanks to additional projects with NS&I, while the activity was down by -16.8 percent in Medical BPO impacted by lower volumes processed for DWP. Volume delays from Q3 this year to early 2014 in the new DWP PIP contract will not be compensated in Q4 2013. The other Specialized Businesses were impacted by a lower level of hardware sales in Civil & National Security in Switzerland and Italy. Over the first nine months of 2013, the HTTS business itself grew by +4.8 percent while Specialized Businesses posted a decline mainly due to Medical BPO. The Service Line as a whole grew by +0.3 percent to EUR 1,255 million. Consulting & Technology Services revenue was EUR 141 million, down -1.9 percent compared to the third quarter of 2012. Consulting activities were up +9.9 percent with almost all sectors back to growth. The activity was strong in the UK, both in the Public sector and in Manufacturing. Technology Services declined by -6.2 percent due in particular to Financial Services and Public sector in France and in Benelux. Over the first nine months of 2013, revenue for Consulting & Technology Services was EUR 456 million, down by -6.6 percent. In Germany, revenue reached EUR 422 million, down by -2.2 percent. All the Services Lines grew except Managed Services. More particularly, Systems Integration was up +10.6 percent thanks to the contribution of the NSN contract. In Managed Services, the Business Unit faced the effect of Neckermann bankruptcy, the transition of Bayer contract invoiced in Q3 2012, and less volumes with some large customers in Manufacturing. In the United Kingdom & Ireland, revenue was stable at EUR 394 million. The Business Unit grew by +14.9 percent in cyclical activities, mainly in Telco and Manufacturing for Systems Integration and in the Healthcare sector for Consulting. Revenue was down by -6.4 percent in BPO mainly due to the DWP contract in Medical BPO and -3.7 percent in Managed Services due to comparison basis and project delays with one large customer in the media sector. Benelux & The Nordics posted revenue of EUR 266 million, almost stable with two different trends: The Nordics grew by +20.3 percent thanks to the contribution of the PostNord contract while Benelux limited its revenue decrease to -3.6 percent. Managed Services was up by +3.7 percent with PostNord but also additional volumes with Philips. Cyclical activities were down by -7.6 percent despite new contracts and additional projects with existing customers in the Public sector which did not offset the ramp-down of several contracts in the other markets. In France, the transformation programs implemented allow the Business Unit to be in line with its 2013 recovery plan. In Q3, revenue reached EUR 238 million, down as anticipated by -8.2 percent compared to the third quarter of 2012. Managed Services decreased by -9.4 percent despite additional revenue coming from the signature of contracts in Telco and Energy. The cyclical activities declined by -6.5 percent year-on-year. The Business Unit Atos Worldline is reported as such until the end of FY 2013 and represents part of Worldline. The performance of Worldline as a standalone subsidiary is detailed in the section “Worldline performance” herein below. Revenue in the third quarter reached EUR 222 million, +3.1 percent year-on-year. By geography, France and Benelux grew both in projects and in transaction processing. In Belgium, issuing business benefited from higher transaction volumes. Germany was stable year-on-year with payment processing for banks offsetting a decrease in the sale of terminals. In Central & Eastern Europe, revenue declined by -7.2 percent to EUR 196 million. New projects in Turkey in the Public sector and in Slovakia in Telco almost compensated for the AMS contract in Austria which terminated during the fourth quarter of 2012. Most of the revenue decrease came from lower hardware sales in Civil & National Security Specialized Businesses, mainly in Switzerland. Revenue in North America grew by +5.4 percent to EUR 146 million led by Managed Services with the contribution from the McGraw-Hill contract which started in Q3 2012. Growth also materialized in some contracts mainly in the Public sector and partially compensated lower volumes with Siemens. In Systems Integration, revenue coming from the successful completion of the AIG contract in Q3 2012 was not repeated this year. In Iberia, revenue reached EUR 81 million, up by +5.2 percent. In the third quarter of 2013, the Business Unit benefited from the completion of a one-time sale for a European public institution in Managed Services. Systems Integration was stable while the activity in Consulting & Technology Services continues to be tough in a severe economic environment, more particularly in Financial Services and in the Public sector. In Other Business Units, revenue was EUR 119 million, down by -6.6 percent. Major Events was down EUR -10 million mainly representing Q3 2012 revenue for the London Olympic Games. Excluding this base effect, the Business Unit grew in Asia-Pacific, mainly in Telco, and in Latin America thanks to the e-Ticketing business. Book to bill ratio was 85 percent, with Group order entry totaled EUR 1,780 million in the third quarter of 2013. Book to bill reached 91 percent in Q3 2013 excluding Siemens for which most of the IT contract was booked in July 2011 and excluding BPO where the large NS&I contract was renewed in Q2 this year. As of September 30th, 2013, the full backlog remained strong at EUR 15.1 billion, representing 1.7 year of revenue. The full qualified pipeline increased to EUR 5.4 billion compared to EUR 5.0 billion at the end of June 2013. The pipeline increase came from a stronger commercial activity in Benelux & The Nordics, Germany and for Atos Worldline. Considering this pipeline level and the timing of signatures, the Group expects a strong book to bill ratio in the range of 110 to 130 percent in the fourth quarter. Free cash flow amounted to EUR 21 million compared to EUR 32 million statutory in the third quarter last year. Considering an acquisition in Australia and the start of the share buy-back program, the Group net cash position at 30 September 2013 reached EUR 353 million, compared to EUR 359 million at the end of June 2013. The total number of Group employees was 77,080 at the end of the third quarter, compared to 77,105 at the end of June 2013. In the third quarter of 2013, 2,877 new employees were recruited of which 65 percent in the emerging countries. Attrition for direct staff in the third quarter of 2013 was 10.6 percent, compared to 9.6 percent for the first semester. In the third quarter of 2013, Worldline revenue reached EUR 277 million, up +5.5 percent year-on-year. Revenue was EUR 825 million for the first nine months of the year, representing an organic growth of +5.4 percent. In Merchant Services & Terminals, revenue was EUR 87 million, stable compared to the third quarter of 2012. Revenue evolution was impacted by lower terminal sales. Revenue grew in commercial acquiring at the same pace as in the first semester, in e-Commerce in the UK and for loyalty and fuel cards in Iberia. Over the first nine months of 2013, revenue reached EUR 264 million, up +2.3 percent. The Mobility & e-Transactional Services revenue strongly grew by +10.8 percent year-on-year at EUR 91 million. Growth came from the UK in e-Ticketing, from Latin America in fare collection and e-Health solutions, and from new projects delivered in France. Revenue was EUR 273 million for the first nine months of 2013, representing an organic growth of +10.3 percent. In Financial Processing & Software Licensing, revenue grew +6.4 percent to EUR 99 million. Growth was mainly generated in Benelux and France with higher volume of transactions in the issuing business and thanks to new projects with banks. The Business Line revenue grew +4.0 percent year-to-date to EUR 287 million. The Group has the objective to improve its operating margin rate to around 7.5 percent of revenue compared to 6.6 percent in 2012. The Group has the ambition to achieve a free cash flow above EUR 350 million. The Group confirms its ambitions for an EPS (adjusted, non-diluted) representing an increase of +50 percent compared to 2011 statutory (up +25 percent compared to 2012). Scope impact is related to an acquisition in Australia on July 1st, 2013. Exchange rate impact mainly came from the variation of the British pound, US dollar, Brazilian real and Argentinian peso versus the Euro. Today, Friday October 25th, 2013, Senior Executive Vice President Gilles Grapinet, and Chief Financial Officer Michel-Alain Proch will comment on Atos' third quarter 2013 revenue and answer questions from the financial community during a conference call in English starting at 8:00 am (CET - Paris). 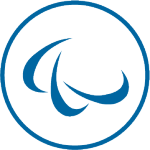 Atos SE (Societas europaea) is an international information technology services company with 2012 annual revenue of EUR 8.8 billion and 77,100 employees in 52 countries. Serving a global client base, it delivers IT services in 3 domains, Consulting & Technology Services, Systems Integration and Managed Services & BPO, and transactional services through Worldline. With its deep technology expertise and industry knowledge, it works with clients across the following market sectors: Manufacturing, Retail & Services; Public sector, Healthcare & Transports; Financial Services; Telco, Media & Utilities. Atos is focused on business technology that powers progress and helps organizations to create their firm of the future. It is the Worldwide Information Technology Partner for the Olympic & Paralympic Games and is quoted on the NYSE Euronext Paris market. Atos operates under the brands Atos, Atos Consulting & Technology Services, Worldline and Atos Worldgrid. This document contains further forward-looking statements that involve risks and uncertainties concerning the Group's expected growth and profitability in the future. Actual events or results may differ from those described in this document due to a number of risks and uncertainties that are described within the 2012 Reference Document filed with the Autorité des Marchés Financiers (AMF) on April 3rd, 2013 under the registration number: D13-0271 and its update filed with the Autorité des Marchés Financiers (AMF) on July 31th, 2013 under the registration number: D13-0271-A01. Business Units include Germany, France, United Kingdom & Ireland, Benelux & The Nordics (The Netherlands, Belgium, Luxembourg, Denmark, Finland, Sweden, and Estonia), Atos Worldline (French, German, Belgian, Asian, and Indian subsidiaries), Central & Eastern Europe (CEE: Austria, Bulgaria, Croatia, Serbia, Poland, Czech Republic, Russia, Romania, Slovakia, Hungary, Switzerland, Italy, and Turkey), North America (USA and Canada), Iberia (Spain, Portugal, and Andorra), and Other Business Units including Major Events, Latin America (Brazil, Argentina, Mexico, Colombia, and Chile), Asia Pacific (Japan, China, Hong Kong, Singapore, Malaysia, Indonesia, Philippines, Taiwan, Thailand, New Zealand, and Australia), India, Middle East (UAE, Qatar, and Saudi Arabia), Morocco, South Africa, and New Business Ventures (blueKiwi, Yunano and Canopy). Revenue organic growth is presented at constant scope and exchange rates. Adjusted (non diluted) Earnings Per Share (EPS) represents the net income adjusted of restructuring, rationalization and customer relationship amortization, net of tax, divided by the weighted average number of shares during the year.